Make an artistic statement. 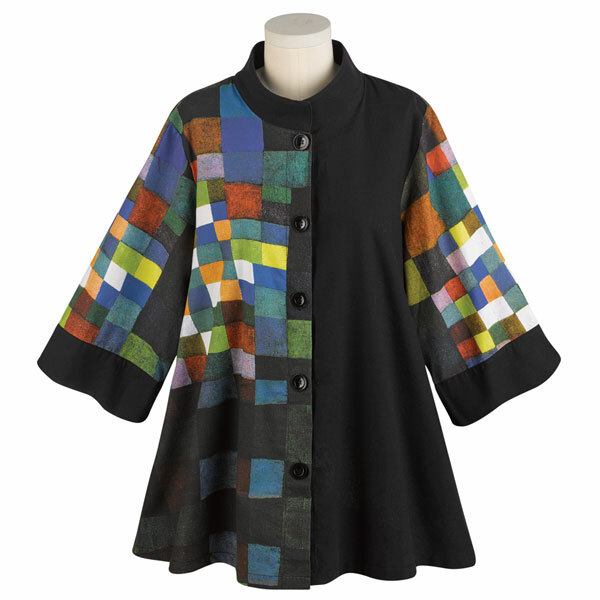 Painterly colored squares contrast with solid black in a hand-silkscreened jacket with oversized banded collar, banded ¾-length sleeves, sideseam pockets, flared hem, and full button front. 100% cotton twill. Hangs 29". S/M(4-10), L/XL(12-16), XXL(18-22). Hand wash. Imported.